Don't abandon the steel version. Those of us on tighter budgets would appreciate a less expensive option. Looking forward to seeing the skid plate. Just a quick update, I can sell the steel version for 110 dollars and the Aluminum for 155 dollars. This is the price for it bare, non powder coated. 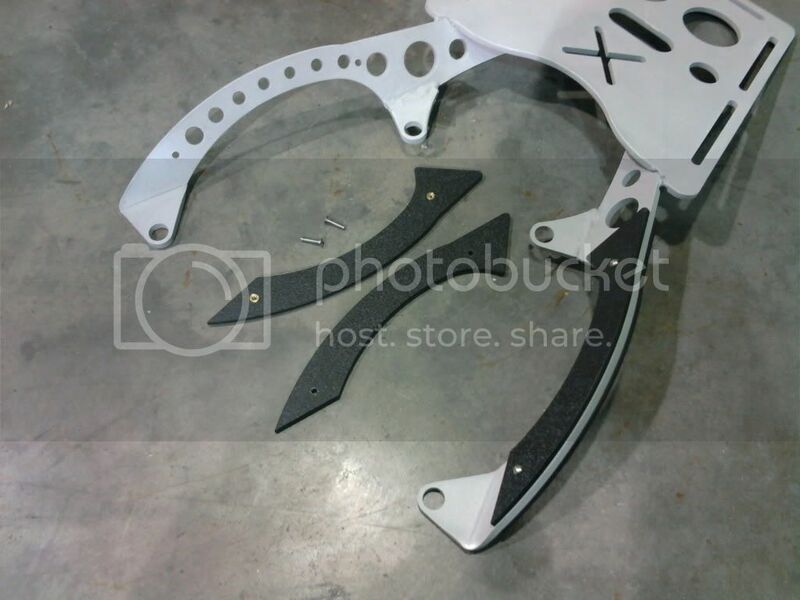 You could paint it yourself or take it to your own powder coating shop yourself. 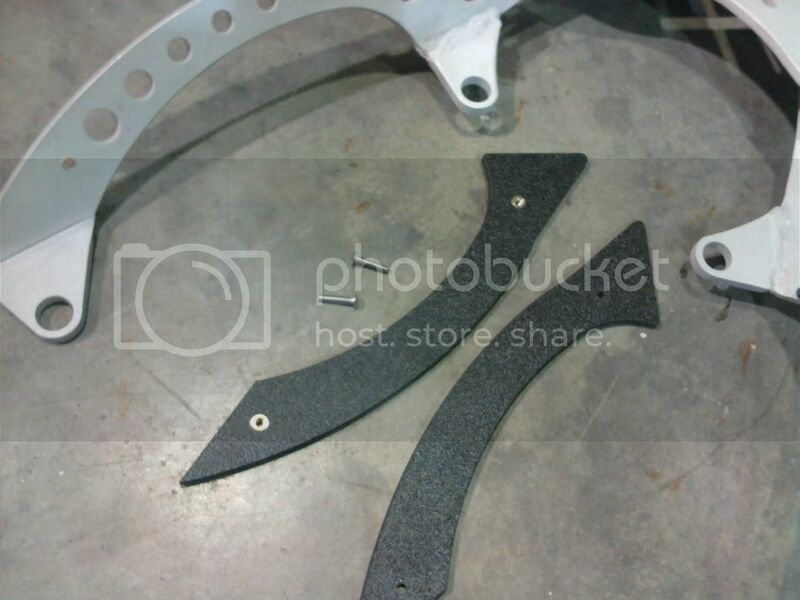 Powder coating would cost an additional 30 dollars to the price listed above if you want me to do it before shipping. I am working on some plastic covers for the handles, for those who want them. I will be posting pictures of the handle covers soon. I will take a steel one and paint it. With grip covers. Are you including shipping? Do you have a paypal setup? What is lead time? Do you have an updated picture with the grip covers? Did the scans of that plate help out? How's the update coming? Yes, the scans helped. I've orded a SM plate to make sure it will lock down on my rack. The rear plastic handles are being made and I will put some pictures up when they are done. Good job KTM. Looking forward to seeing what you can do with a skid plate. Very nice in general!. I just bought a sw motech and sure wish it was aluminum. It should have hole pattern for the KAW/Givi top trunk mount plate too. I could give you those #'s if intersted. A little concerned with the sharpness thing. I think you'd do best if it WAS aluminum. I too am interested to see a skidplate. I am interested in the rack too. I don't have the Versys with me, but I seem to recall that when I mounted the racks for the E21's, part of the mount went under the mounting points for the grab handles? Anyone have their bike handy to see if that was the case? If so, I would want to be sure it would mount OK once the grab handles were removed, maybe just needing longer bolts. If works, i am in too. Great design as I have been looking for something like this. 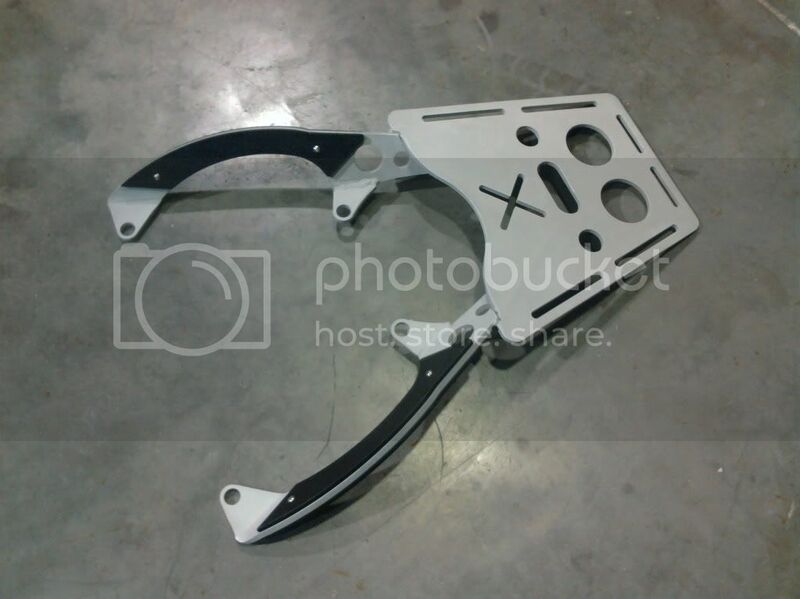 Id like to see a glide plate like the one pictured on my KTM 200. Ok, so I have done some more work on the rear rack. 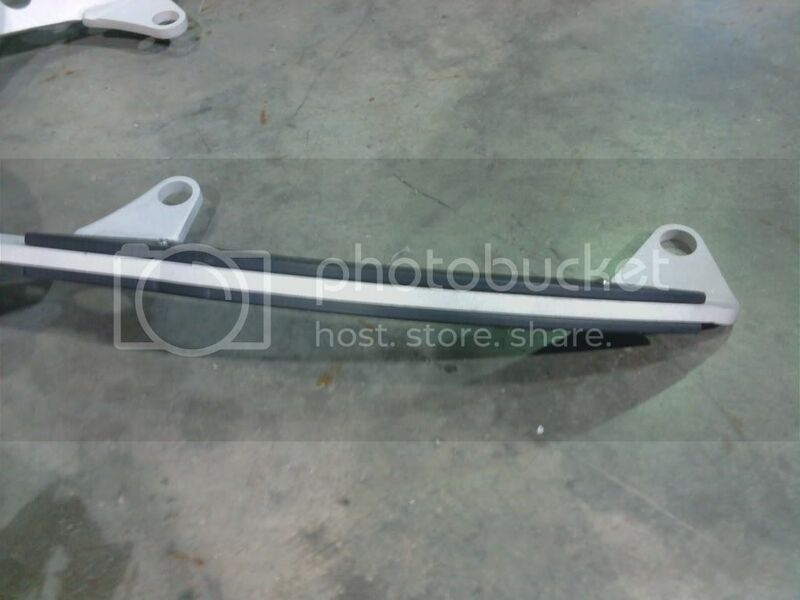 Pictured below is the aluminum version. I have also made handles that can be removed quickly when desired. The plastic handles cover the holes when mounted or can be removed for using the holes in the frame for attachment pointes. The total weight, with the handles, is under 2.5 lbs. It is very light. The plastic hand grips are held on by two stainless screws. There is a plastic cover for each side. The opposing side has a brass insert pressed into the plastic. Therefore, nothing will rust. The aluminum rack, just as pictured-with handle covers, I can sell for 165. It is 190 for powder coating to any color choice. The steel version, powder coated and with the handles will be 155 total. The steel version is just over 6 lbs. The steel version price is exactly in line with the other brands. There versions are steel tube designs. Thanks for all the great ideas. Last edited by ktmduals; 10-28-2010 at 09:35 PM. Very very nice workmanship as well as design. I made my own but if I needed one this would have been it. I am always looking for anything that is lighter. Super nice, ktmduals. Ordering details? Hand grips remind me of my favorite lock-blade...Very nice touch. Clean and purposeful...Just like the Versys. Very nice design and composition, an anti-farkle in a world gone bling.